Duvoisin is a small Swiss shop run by the father and son team of Jacques and GIlles Duvoisin. The secret sauce proprietary electronics are by electrical engineer guru Gerald Huegenin – herein lies part of what make this a truly new jazz bass. 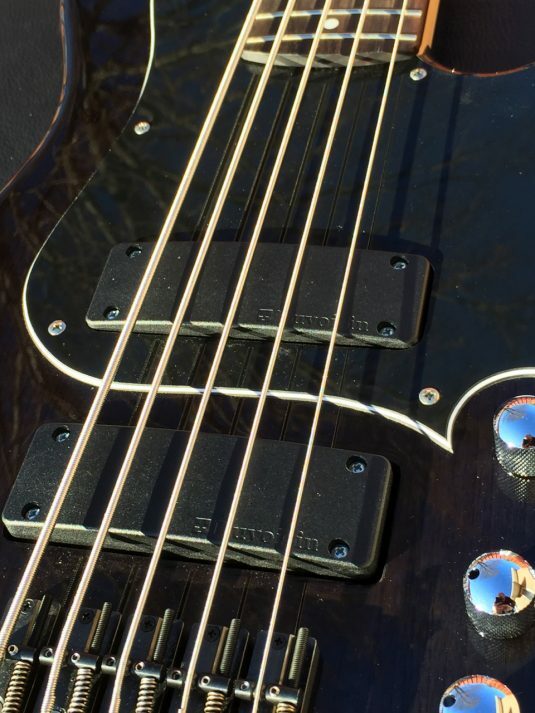 ” An essential element of the bass or the guitar, the duty of which is to hold the extremities of the strings and relay the sound generated by the vibration to the whole instrument. Our patented bridge consists mainly of a diffuser, a base plate and a deck plate. It, of course, enables the adjustment of string height and scale length, but the most important innovation lies in the diffuser. Encased inside the body of the instrument, it drives the sound from its very heart, enhancing considerably its sustain. We have also chosen to avoid linking the bridges together, meaning that each string rests on its own bridge, separate from the others, which improves the decoupling of the system, and which also considerably reduces the residual noise that mono bloc bridges generate. Our patented bridges are available on all our models. 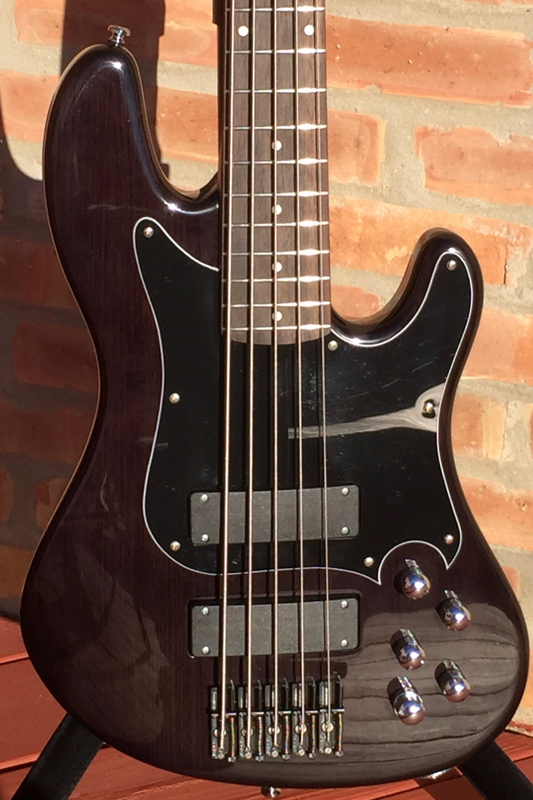 This bridge design , along with the proprietary pickups and preamp , made in collaboration with the aforementioned Gerald Huegenin , are intended to enhance the tone of the wood. 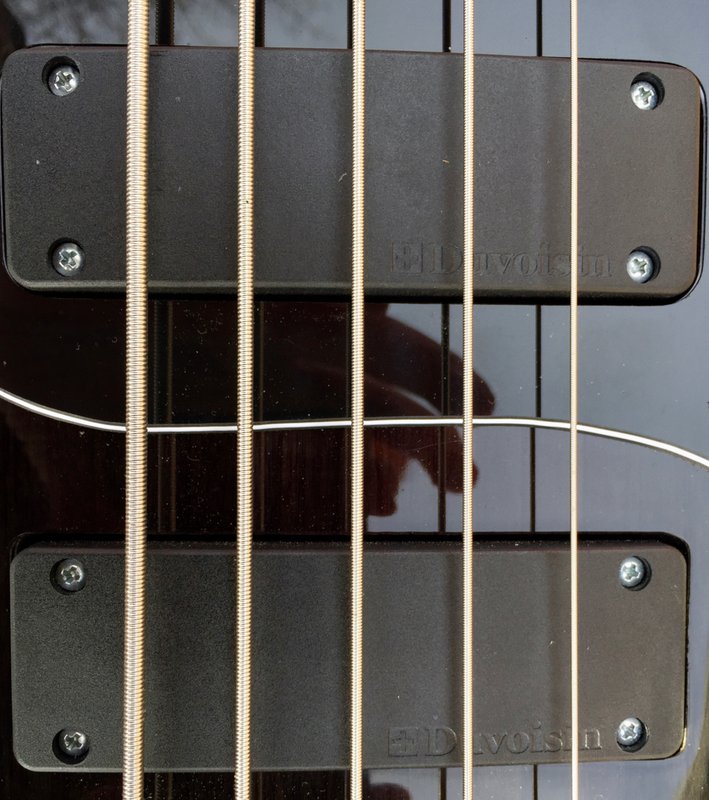 NOTE : It is recommended ( but not mandatory ) that you remove the ball end of each string and use the string loop to attach to the bridge – the idea is that this is a more direct connection between string and bridge. Again, a Duvoisin innovation and improvement. Our research has shown that the best connection between string and bridge is achieved through the removal of the ball end from the string. The remaining loop is then fastened around a tailor made bolt connected to the base plate to make sure that sound is driven the best possible way. 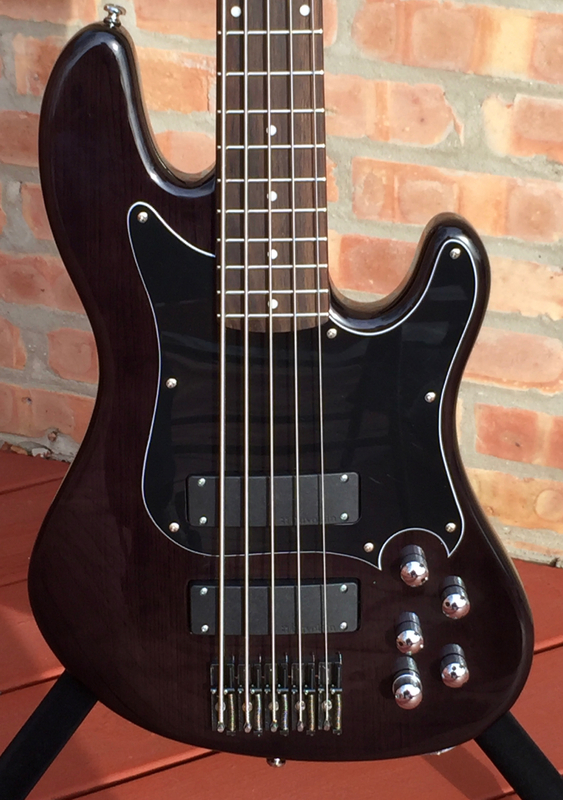 The client retains the option, if he so desires, to keep the ball end on his strings, as the necessary nuts and bolts are provided with each instrument. 3V preamp – you have read this correctly – powered by two AA batteries – the low voltage = transparency , low noise , and expanded frequency response. 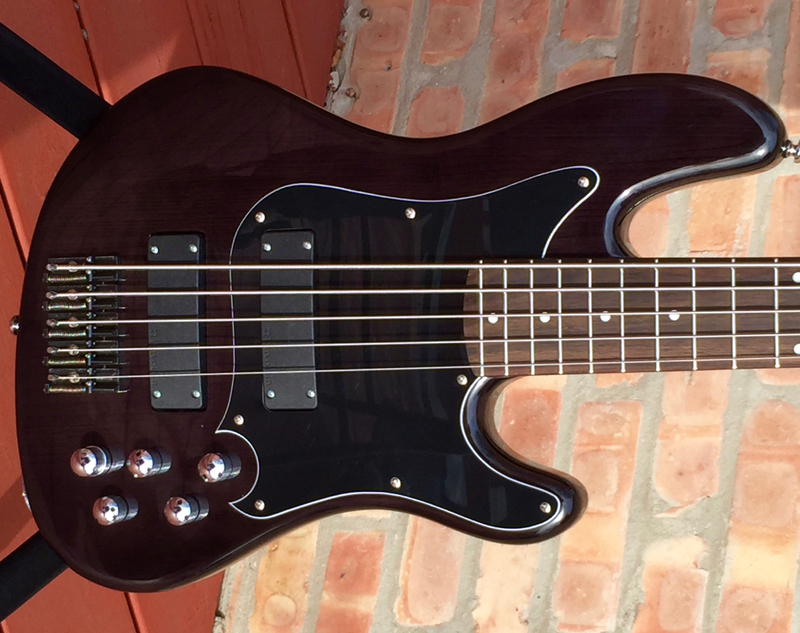 You must hear this bass appreciate the difference – it is real. Ash body , 8lbs, 10 oz. 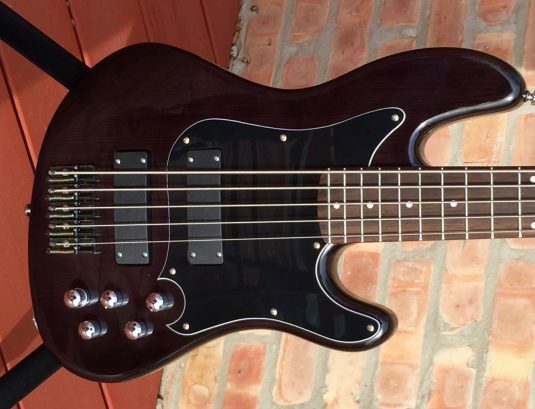 So, what we have here is a familiar and comfortable body shape with 21st century electronics, all for a fraction of the cost of any of the boutique JBs out there. Ash body – 8lbs, 12 oz. Preamp – volume, blend, bass and treble cut and boost , sweepable mids. I urge you to play a Duvoisin – compare , and make up your own mind.